What You Should Do With Empty Toner Cartridges | TonerGreen - Eco-Friendly Toners from the U.S. So you do your printing almost every day and you consume a lot of toner cartridges, but what happens next when these are all empty? Well, there are some ways you could actually turn these containers into recycled toner cartridges. You can always check your trusted printer supply store if they offer recycling programs for printer cartridges. Some stores even pay you for certain cartridges and also for the number of pieces that you recycle. You could take TonerGreen as a good example of a third party printer supply store that supports cartridge recycling. 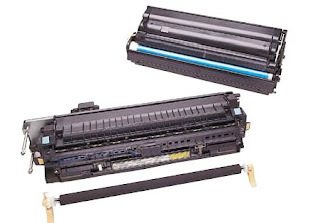 After donating, these are turned into remanufactured toners which are affordable printer supplies that can create high quality prints while helping the environment. If you want to start collecting a lot of cartridges to donate, you can do so by first asking your friends and relatives to give their used printer supplies to you. In this way, you get to save more and help others in reducing their wastes. There are also some who would use empty toner cartridges for their artwork or projects. You can try this too by cleaning the cartridges turning them into flower pots. Just be sure that you have removed all of the toner so that the plants stay healthy. Try being creative with your empty printer supplies and you can be sure that you are not only becoming socially responsible, but also enjoying and learning new things through cartridge recycling.